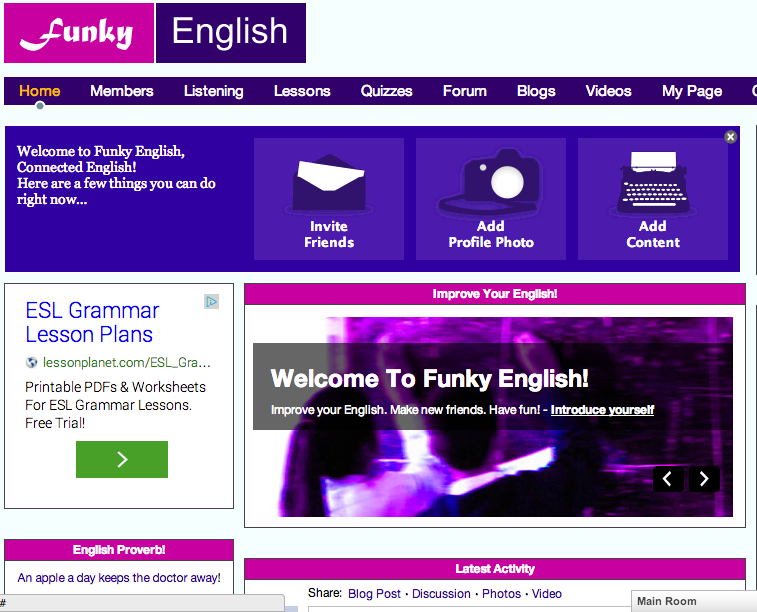 Funky English at http://www.funkyenglish.com appears to embrace the second definition by developing an online social community for English language learning. Ironically, however, language instruction itself on the site is quite traditional and conventional. Nonetheless, Funky English may be a useful practice site for individuals who would enjoy participating in online forums on everyday life English usage with teachers and students of English. Since Funky English (FE) is designed as a social networking space for individuals interested in learning or teaching English, it includes “Friends,” “Groups,” each user’s profile page, “Blogs,” and “Forums.” FE also offers a limited number of traditional English lesson topics, but the real value here again is generated in the comment threads that follow each lesson, vocabulary entry, or grammar point. Membership and access to all parts of the site are free. 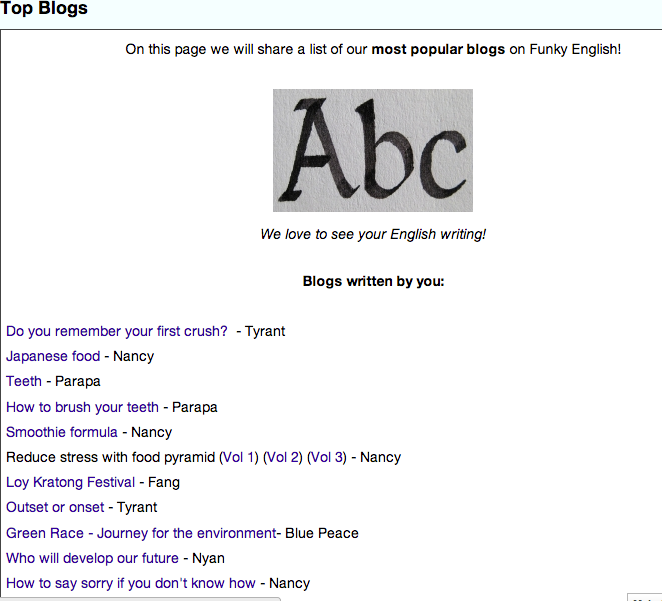 The Blogs tool is an interesting way to capitalize on the participatory FE student community. Members of FE can create blogs, and may generate quite a bit of conversation about what they post. Most of the comments seem to be good-natured and polite, so this may be a comfortable environment in which to strengthen one’s English fluency and explore one’s writing voice by starting a blog. The “Lessons: Idioms” section has a short set of idioms–the listing for each idiom does provide some useful information about collocates–words that tend to be used with that idiom, e.g. “head into” + choppy waters, and listings explain situations where that idiom would be used. There is not information, however, about how frequent or how up to date an idiom is, so there are a few such as “chin wag” that are a bit out of date. 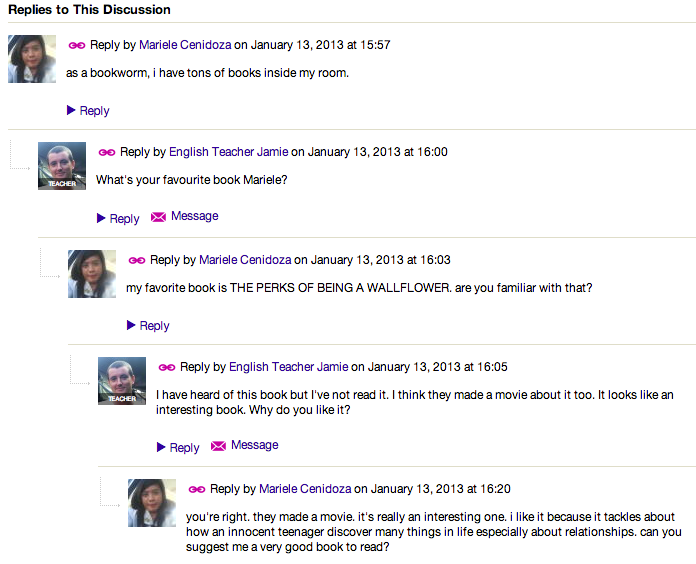 The value in the FE context is the number of users who leave messages for each other and for English Teacher Jamie, which comprise a conversation about each word, with more usage examples and discussion of usage topics. The responses to the idiom “bookworm,” for example, led into a conversation about good books to read in English. This conversation-by-commenting is one of the real strengths of the Funky English platform. The “Lessons: Phrasal Verbs” section also features lively discussions, with some contributors adding cartoons and usage examples from Facebook. The phrasal verbs featured comprise only a very small subset of phrasal verbs in high-frequency use in spoken English. Phrasal verbs often pattern differently in different speech communities: it appears that the usage in the FE community is mainly British, so those in other English speaking contexts might want to “ask around” before adopting a phrasal verb from the site. An example is “break up,” which according to FE, can mean ending a romantic relationship, and can mean ending classes in a university over a holiday break. The latter meaning wouldn’t be meaningful in many English-speaking communities. Instead, “the University went on break” would be more appropriate in the Midwest in the United States, for example. Such variants are not comprehensively provided by Funky English. 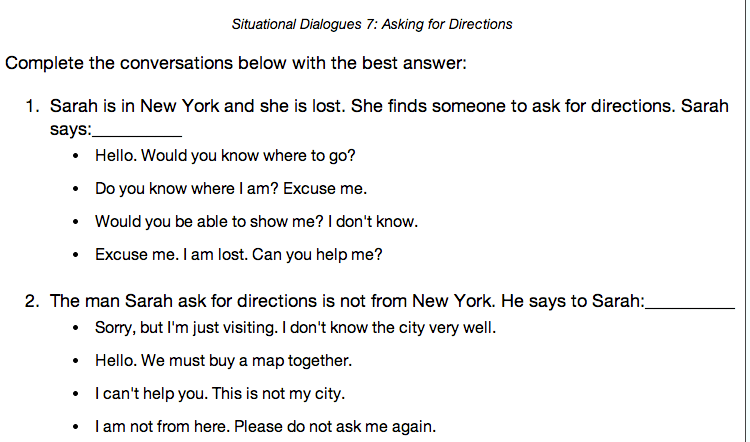 The “Quizzes: English in Use” section offers “situational dialogues.” Each “dialogue” only suggests a situation in which to choose how to word a response, but engages the user in thinking through appropriate language usage in responding to that prompt. Again, the format is multiple choice. 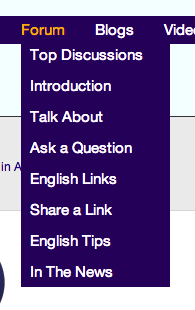 The “Chat” function available on the Home page in FE enables users to text-chat in real time, which could be quite helpful for developing greater fluency. Relative to other social media platforms, however, the number of FE users online at any given time may be small, so sometimes there aren’t enough people online to get a chat going. Overall, Funky English capitalizes well on the text-based features of social network platforms, and provides a comfortable, encouraging space in which to practice English through participation in comment threads, forums, and chat rooms. Categories: Suggested Websites | Tags: advice, blog, english, everyday English, fluency, idioms, Slang, social media, social networking, writing | Permalink. Vocabmonk uses an artificial intelligence algorithm to track individual’slearning/quiz data and mashed up that data to recommend personalised quizzesto students, based on their current vocabulary size.